Melody is a simple blog theme for your needs and it works well with all desktop and mobile devices and has ton of built-in features. 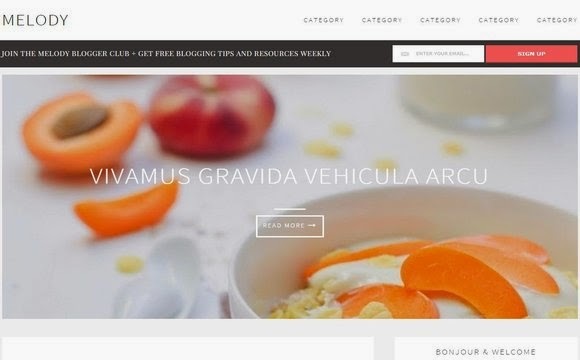 Melody is a browser ready template so it is compatible with almost all the modern browsers, So that your visitors will love to surf your blog. It’s extremely customizable, easy to use and Suitable for every type of business. Melody gives you the opportunity to feature tons of content without making your website feel cramped or messy.